Get Extra Organic Search Traffic with Google’s “Related Questions”, But How? Most SEOs go after the most competitive traffic from Google. Years ago, that’s all there was, but Google has created many new features—many of which can be used to get extra search traffic. The best part about these features is that most SEOs never even try to take advantage of them. If you’re smart, you’ll want to take advantage of them. You might have seen these when searching for various terms. They appear as small boxes within the search results themselves (usually around the 4-5th spot). These links will get high click-through rates. For the rest of this post, I’ll further explain how related links work and then show you how you can increase the chances of your site showing up in these searches. Why you should care about “related questions”: It’s a neat feature, but is it worth spending time and effort trying to show up in related questions? The fact I’m writing this article means I think the answer is yes. While it’s a fairly new feature, it’s grown incredibly fast. Moz started tracking “related questions” in early 2015 when they were first rolled out. They showed up on just over 1% of queries. At the end of 2015, related questions were showing up for just over 8% of all queries that Moz tracks (that’s a very significant portion). When do “related questions” show up? The tough part is finding out which searches related questions actually show up for. From the name, related questions, you might think that they would show up only for searches that are phrased as questions. In fact, it’s the opposite. Related questions rarely show up in the search results of queries that are specific (like other questions). Instead, they show up often when the search query is a broad term. From Google’s perspective, the searcher is looking for general information when they enter a broad term. In order to help them find a more specific path to learn about, Google provides common questions (and answers) with the “related questions” box. Take a few minutes to search for a few general terms in your niche, and see if you can get the “related questions” box to come up. 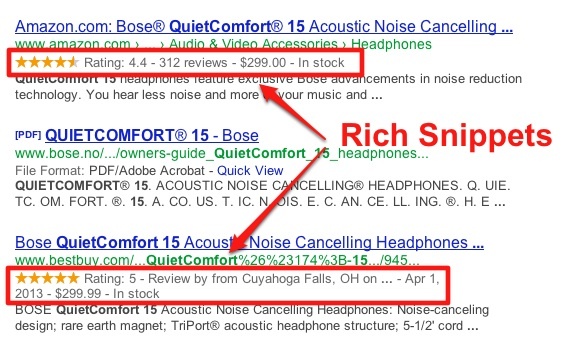 Even if you can’t find many, that doesn’t mean that Google doesn’t use “related questions” in your niche. Unfortunately, there’s just no easy way to find them at the moment. That being said, you can still implement things that should let you take advantage of this extra traffic source, so keep reading on. It’s time for us to do a little investigating. It’s clearly a relevant answer to that question (a tzatziki sauce recipe). In fact, that Allrecipes article does rank #1 for that query. Not quite. In fact, many of the answers that Google links to are not in the #1 spot for their own query. However, almost all are on the front page. When we click on Search for: What is a backlink?, that webopedia page shows up as the 4th result. Clearly, you don’t need to rank #1 for a related query to still get chosen to be featured in a related question. However, ranking high will help. Authority for the related question query – Just as we have seen above, if you rank better for the results of the question, you have a better chance to appear in the “related questions” section. Schema (rich text markup) – “Related questions” are part of Google’s knowledge graph, which we know uses schema to understand content better. It’s not necessary to be chosen as an answer source, but it’s probably not a coincidence that most answer pages use schema. You get page authority mostly from the backlinks to your page and site. Start with my advanced guide to link building if you need help. I also won’t go into the clarity of your content much because it’s pretty self-explanatory. Have clear headlines, and emphasize the important parts of your content naturally. You don’t need to force in certain keywords, just maintain a simple and clear format. If you’re writing naturally, you’ll do this automatically. The most interesting factor for you here should be the schema markup because a lot of the sites that rank ahead of you on these related questions won’t use it. It’s an extra opportunity to increase your traffic from these related questions. If you’re already familiar with schema, you can skip this section. But you still might want to read it for a quick refresher. 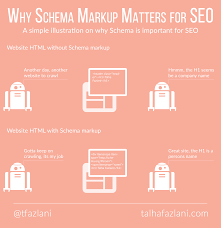 Schema refers to a specific type of rich text markup, which is essentially an HTML code that doesn’t show up to readers. The markup was designed to help content creators explain their content better. Those pictures, ratings, reviews, etc., can all improve your click-through rates, which could improve your search rankings indirectly. The reasons why most websites don’t implement schema is because it does take some extra work, but mainly because it’s scary. If you’ve never used it before and you go to the Schema site, you’ll be overwhelmed. I don’t want that to happen to you, so let me break things down and simplify them. I promise it’s not that bad. Now, do me a favor: ignore them. Why? Because 99% of them will never be useful to you, especially not for the purpose we have in this post. There are, however, three important schema tags you do need to understand. 1. “itemscope”: This is a top level tag. You can put it inside any HTML tag to tell search crawlers that everything inside that HTML division (or span, body, etc.) refers to one specific topic. You do not have to specify a value. The arrow points to the “itemscope” tag. That tells Google that everything within that div tag (in the rectangle) is related. 2. “itemtype”: One level down is the “itemtype” tag. For this one, you do have to specify a value. When you add this tag to an HTML element, it tells the crawler that everything in that tag is one specific type of content. Because of this, it’s often paired with the “itemscope” tag. 3. “itemprop”: This is the last tag that you’ll need to understand and use. The first two basically marked broad things about your content, but the “itemprop” tag lets you get a lot more specific. Go ahead, and click one of those “itemtype” links I just gave you above in the bullet points. You can include as many or as few of them as you’d like. Just include enough to accurately describe your content. Just like the other tags, you can add it do any HTML element. You simply include the property name in quotation marks. You can add “meta” tags that have no other purpose than to describe your content. In the case above, these meta tags each describe one aspect of the content in the div (that is marked with the “itemscope” markup). Both the width and the height of the image are specified as 800 (pixels), and even the URL is explicitly labelled. This is what I mean when I say that you can get as detailed as you want to. Now, let’s get back to those three types of content that we’ll be using here. Each of them has many properties, but again, we won’t need most of them. Instead, we’ll focus on a select few. mainContentOfPage – Put this tag right around the actual body of your content. about – This is a general tag that describes your content. You’ll need to describe your content in a few words (do it in a “content” tag in the same HTML element). articleBody – Put in the tag that wraps around the text of your content. Does it matter which one you should use? In my opinion, not really. You can see that they are all almost identical. As long as you’re using them when possible, you’ll do fine. 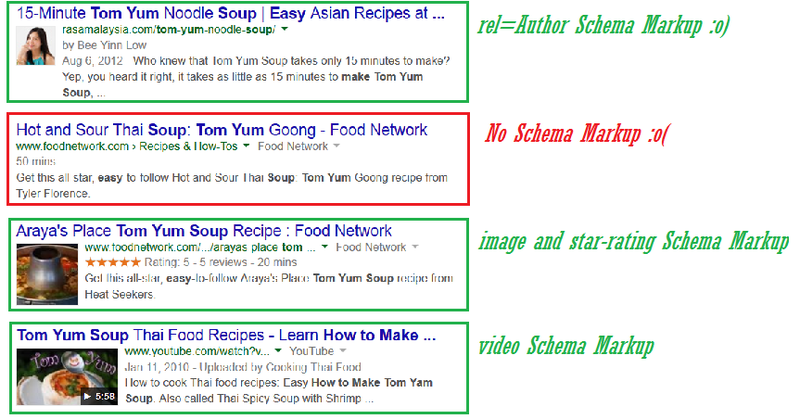 Do you need to use schema for every piece of content? You don’t have to always use schema. Here, we’re focusing on content that answers a few questions and that might get referenced by Google. If your post doesn’t really answer many common questions, you don’t have to include markup (although it’s still a good idea). SEO today is a lot tougher than it used to be. But there are some opportunities to get extra search traffic that are much easier to implement than your typical SEO. The related questions that show up in search results are one of those opportunities. If you want your content to show up in those questions, implement the tactics we went over in this post, and you’ll have a good chance at achieving that. Focus on your typical on-page and off-page SEO, and start implementing the specific schema markup, as I showed you above, in your content. If you have any questions about Google’s “related questions” feature, leave me a comment below, and I’ll do my best to answer them.